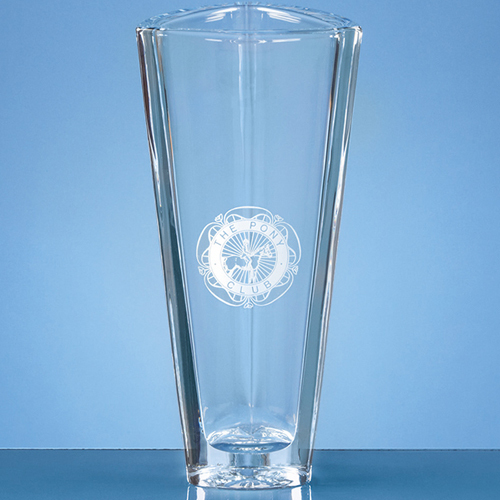 The Crystalite Tapered Triangle Vase is a contemporary style and has a large engraving area. Create the perfect personalised gift by adding any wording, logo or crest. Alternatively this triangle vase can be used as a prize at sporting or business events.